Population growth and increasing demands on water resources make water conservation essential to sustaining environmental quality and maintaining a sensitive ecosystem balance. 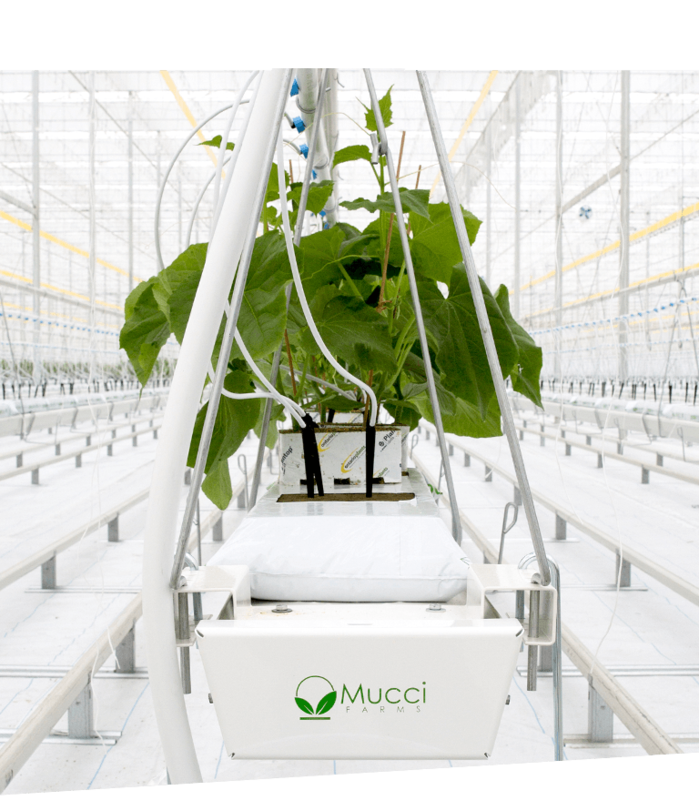 Mucci Farms maintains an aggressive water recycling program where run-off water is collected and recycled, ensuring that no water is wasted and that the water table is not polluted by fertilizers. Plant run-off water is retrieved and is channelled into holding tanks. Water passes through a sand filtration system to trap any organic materials (ie algae) from contaminating the ecosystem. Ultraviolet Germicidal Irradiation (UVGI) is then applied to the water to disinfect. UVGI is a highly effective method of destroying microorganisms, eliminating the need for any chemical treatment. 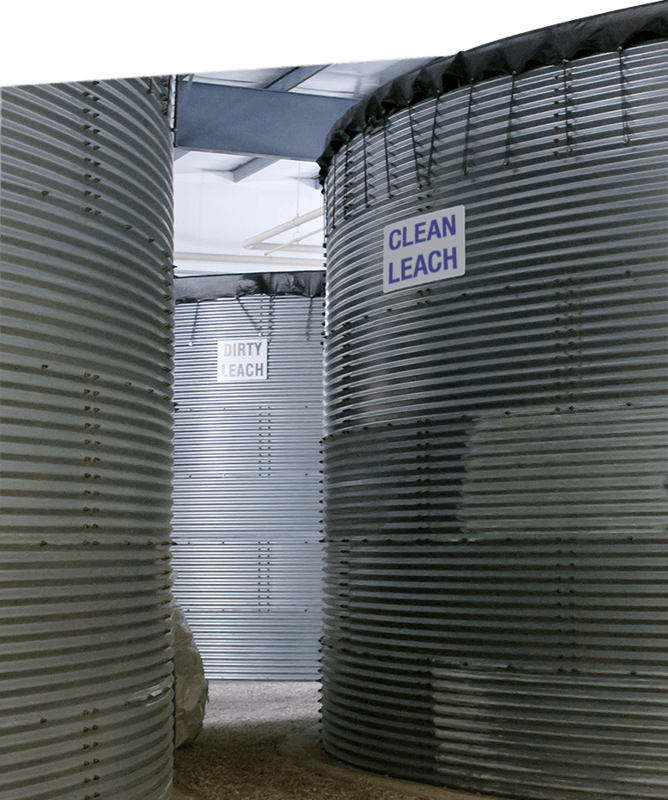 The water is then stored in a “clean” holding tank, ready to be used again. 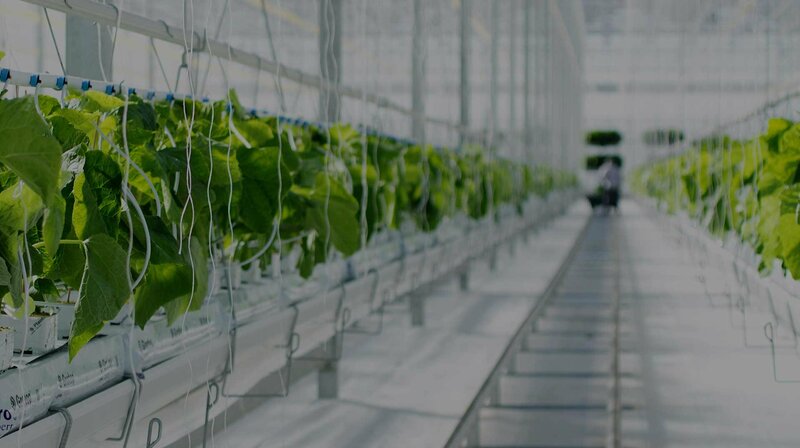 Using significantly less water than traditional farming methods, Mucci Farms’ water recycling program reduces the amount of fresh water used in our greenhouses. 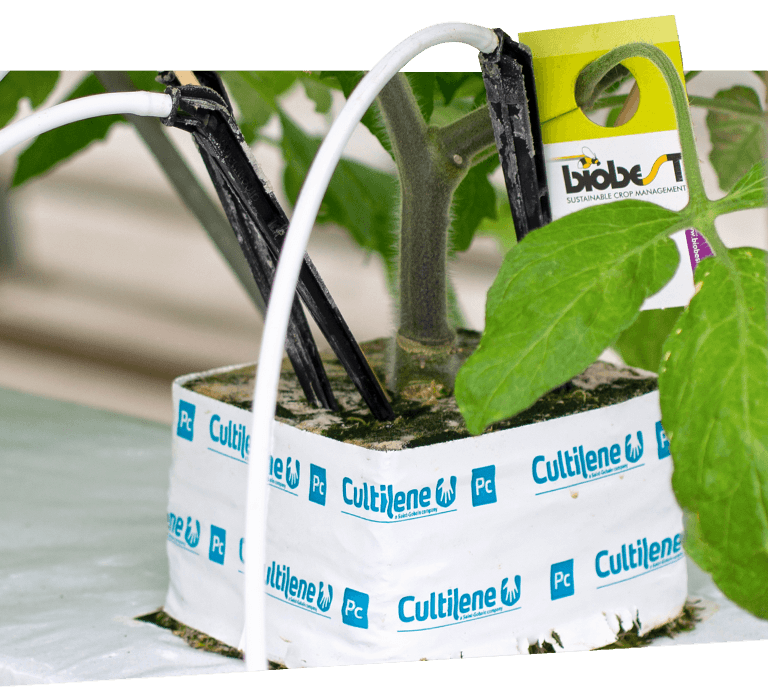 This ensures that no contaminants from organisms or neighbouring farm pesticides contaminate our surrounding ecosystem. 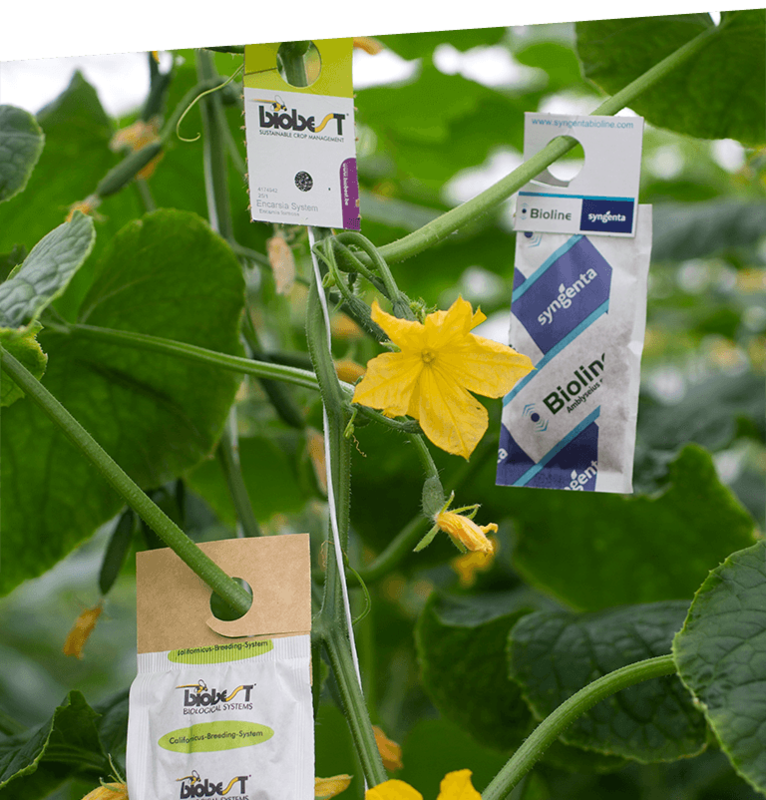 All of our vegetables are grown in a growing substrate made out of Rockwool or coco pea slabs. Once a growing season has ended, these slabs must be disposed of, but rather than send them to a landfill we work with a company that brings new life to the used slabs by turning them into household bricks. Integrated Pest Management (IPM) is a pest control program that allows “good bugs to fight bad bugs” greatly reducing the need for pesticides, health risks to surrounding neighbourhoods, protection of “at-risk” ecosystems and a reduction of pollutants and high concentrations of chemicals entering the ecosystem. IPM works by identifying potential pest problems, monitoring populations, reducing pest populations and evaluating the effectiveness of treatments. Effectively replacing the use of pesticides, and addressing pest issues with insects found throughout nature and native to North America.